The Ceccotti Collezioni story heralds from Ceccotti Aviero, a company founded in 1956, specializing in the production of residential furniture and later in supplying hotels.The company collaborated with some of the most prestigious hotel groups in the world, Trusthouse Forte from London, Sheraton and Ciga, giving an international application to the traditional artisan workmanship of the Tuscan town of Cascina, nestled between Florence and Pisa, where the company is based.From the ‘School of Art’ in Cascina came the designers and skilled craftsmen who developed an artisanal culture in furniture making and wood processing. The company continues to grow, inspired by the countless collaborations that determines its development and expansion.In 1986 the renowned Italian architect Paolo Portoghesi, theorist of the ‘post modern’ contributed to the design of some of the most recognizable and prestigious pieces produced by the company.It is only with the birth of Ceccotti Collezioni by Franco Ceccotti that contemporary design becomes a significant cornerstone of the company.Thanks to the intuition and perception of Franco Ceccotti and architect Roberto Lazzeroni, also from Pisa, with the ‘know-how’ that the company had, gave life to the first collection ‘Dedos Tenidos’, receiving critical acclaim in the world of contemporary design. Experimenting with new shapes and materials, influenced by the eclectic and surrealistic world of Gaudi, Mollino and Scandinavian designs of the 1950’s, Ceccotti Collezioni developed objects of organic sinuosity, anthromorphic shapes, where soft curves connected with slipping profiles.Ceccotti Collezioni is unique and recognized all over the world in the field of interior design for the ability to create ‘products of the author’, unique in their originality and constructive complexity, design without ostentation of industrial geometries but also without aesthetic frivolity, with the scope of reconnecting objects to a tradition and to a history. Over the years Franco Ceccotti has worked with passion on the project of coordination and research, combining his personal aesthetic and intellectual taste with the manual traditions of his company and the various stylistic prints of the designers collaborating with him to create a dialogue with various parts of the world – always aiming to model the projects in order to reflect the distinctive style of Ceccotti Collezioni. 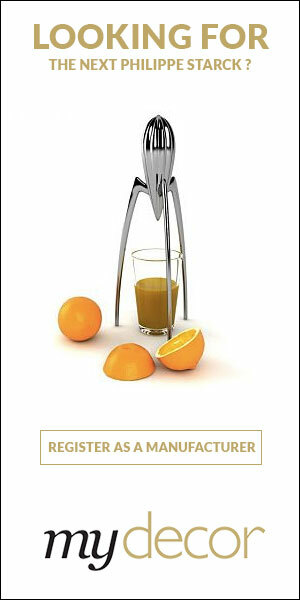 Yuni Ahn, Francesco Maria Andrenelli, Todd Bracher, Oscar and Gabriele Buratti, Massimo Castagna, Jeannot Cerutti, Vincenzo De Cotüs, André Dubreuil, Noe Duchaufour-Lawrance Jaime Hayon, Roberto Lazzeroni, Ross Lovegrove, Pedro Miralles, Christophe Pillet, Fabrizia Scassellati, Yamo, are the designers, who since 1988, have all measured themselves with this artisan tradition. Ceccotti Collezioni has shown the character and quality of a company that has never deviated from its vocation to luxury craftsmanship, as a result it has been able to translate it into new products with a contemporary interpretation. Want to get the latest updates from Ceccotti? 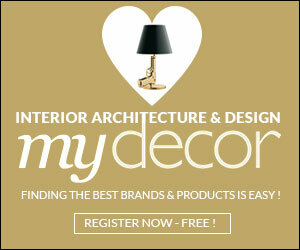 Register on MyDecor to follow Ceccotti and get notifications on news and products.